I remember being a child and responding to my (now beloved) sister’s taunts with the phrase, “Sticks and stones may break my bones, but words shall never hurt me.” How anyone ever thought that was an effective way for children to deal with ridicule is a mystery to me. Today it’s more commonly understood that youth and adults on the receiving end of verbal attacks aren’t always able to fend off the pain of negative comments. The problem is so prevalent that the Centers for Disease Control and Prevention has studied it and identified name-calling and teasing as a form of bullying. [i] Words are extremely powerful. Considerate communicators, particularly authors, have to choose words purposefully. Words act as building blocks to a story. Stacked together, they impart feelings, inspire or motivate. They determine action, setting, and point of view. They convey conflict and emotion. And they should compel readers to rush ahead one page at a time, one word at a time, to discover the surprises that await them. As we’re writing our manuscripts, the goal is to be clearly understood. The skill, however, is difficult to achieve, because writers and readers don’t always interpret things the same way. Compounding the problem is that a word usually has various definitions associated with it. Consider sanguine. The word means confident, which may be interpreted as a positive trait. It also means bloodthirsty and depicts a more sinister quality. [ii] When writing an article, the author needs to make his intent as clear as possible for the reader. At times, he may actually need to specify the correct attribute—for example, self-assured as opposed to homicidal. My friends who write fiction will not entirely agree. For their creative process, it’s more effective if they show, rather than tell, readers what they mean. They create this understanding through meticulously scripted action, scenery and dialogue. Regardless of the type of writing we do, the underlying premise is that we pay strict attention to the words we use for each of our given scenarios. History gives us a concrete look at the significance of word choice. Biblical scholars examined Sacred Scripture and identified many different names the Hebrew people used when they referred to God. Each name revealed something important about God’s character. He wasn’t just addressed as God. He was Creator God and they professed thanks to Elohim; He was God Most High and they humbled themselves before El Elyon. He was God Almighty and they praised El Shaddai. [iii] Faithful Hebrew people found one word was inadequate in describing the many qualities of their provider and their relationship with Him. They selected appropriate words as needed—words which reverently reflected their view of God’s sovereignty, omniscience, and love in precisely the way intended. [iv] Although not everyone will identify with these ancient terms of endearment, I’m certain that God is still adored by many present-day believers with these highly expressive names. So how does a modern writer figure out which word is best for his given situation? Experience, education, and intuition are part of the answer, and I believe that a good dictionary and thesaurus are essential tools for the author’s toolbox. 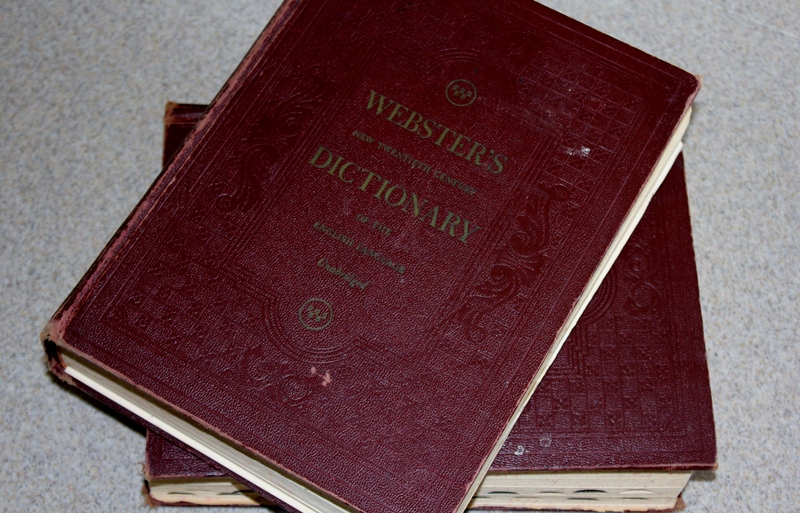 One of my favorites is a double volume Webster’s dictionary published in 1951. I bought it secondhand. The burgundy binding appears to be leather, but it’s so worn I can see threads of fabric beneath. It smells a little musty. The spine of volume II has suffered and is a little loose. It’s possible that someone dropped it or simply overused the extra features in the back of the book, where little tabs with descriptive labels are so hard to read that they are no longer useful in identifying the subject matter lying beneath. My treasured reference book simply looks old and feels old. There’s even an image of gray haired Mr. Webster tucked opposite the title page. The whole thing is wonderfully frail, and I appreciate the ambiance and feel that go along with opening the cover and delicately turning the pages. Since I’ve known Noah Webster all of my adult life, I can’t seem to bring myself to recommend any other dictionary source (although many other good options, including convenient smart-phone apps, do exist). I won’t give up my hardbound set, but I have to say that I most often use the free online version available at Merriam Webster. There you will find expected features, such as spelling, definitions, and synonyms, and some additional perks not available in printed versions. Interesting online features allow you to answer quizzes, play games, test your vocabulary skills and view video tips addressing common language and writing issues. “The Awkward Case of ‘His or Her’” takes a look at a popular, long-standing dilemma. I also recommend “Ghost Word” to those of you who would like to learn about a non-word that made its way into a 1934 edition of the Webster’s dictionary. A thesaurus is part of the online site also. It’s extremely helpful during the final stages of your writing, when you’re revising. Look over your manuscript and identify words that you’ve repeated. Don’t tire the reader with redundancy–engage him by finding other terms that describe the same thing. With just a click of your mouse and a few taps at the keyboard, you instantly discover new, more interesting ways to express yourself. The online method is so quick, I have to concede: it negates the “Easiest to use!”[v] marketing claim emblazoned on my 1989 paper thesaurus. In the creative process, don’t work so hard at being original that you end up compromising your voice. Pick words that you are familiar with and that sound natural to you. Your choice should reflect your personality and reveal subtle information about yourself to the reader. For instance, by reading this article, you should be able to tell that I greatly respect Noah Webster’s legacy. So whether you prefer books that you can physically rummage through or you enjoy the ease of using electronic tools, make sure you have good reference materials on hand. Then, when you want to entertain your readers with extra pizzazz, you can find the perfect word. [ii] Merriam-Webster Online Dictionary and Thesaurus, 10 April 2014 <http://www.merriamwebster.com>. [iii] Michal E. Hunt, “The Many Names of God,” 2003 AgabeBibleStudy.com, 10 April 2014 http://www.agapebiblestudy.com/documents/the%20many%20names%20of%20god.htm>. [iv] Beth Moore, The Patriarchs: Encountering the God of Abraham, Isaac, and Jacob (2005; Nashville: LifeWay Press, 2006) 11-39. [v] The Merriam-Webster Thesaurus (Springfield: Merriam-Webster Inc, 1989) spine. 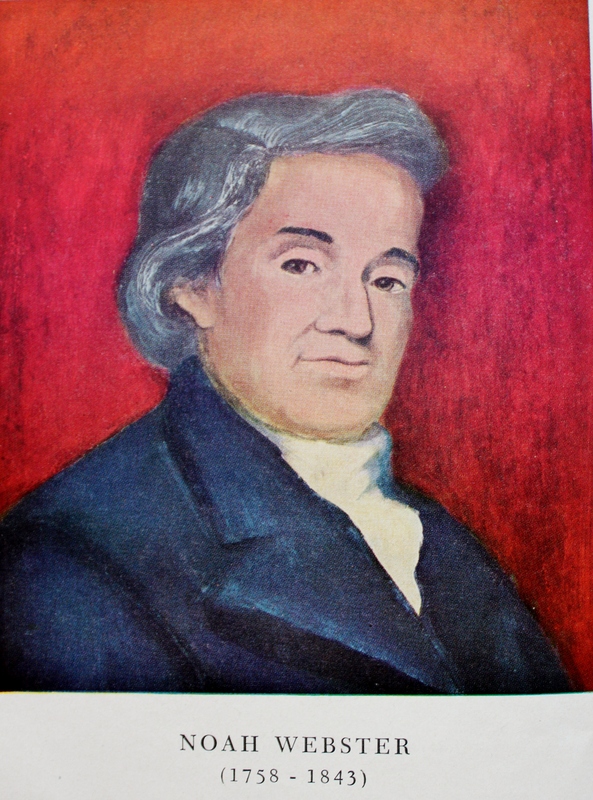 Fig1: Noah Webster, image from Harold Whitehall, ed., Webster’s New Twentieth Century Dictionary of the English Language (Cleveland: The World Publishing Company, 1951) frontispiece. I have a trade-paperback-sized Thesaurus, the purple cover worn from loving, desperate use. No matter how much a dinosaur it may become, I will never get rid of it. These days, I write/revise more on the computer, especially in coffeeshops, so the online version a click-click away is ideal. I love the convenience. I’ve found, however, that sometimes the book has better words to describe my intention. Hope you still use your physical dictionary/thesaurus. Dinosaurs are not extinct yet! Yes, like you, I do still reach out to the dinosaurs, but they are always left at home when I venture out. Every now and then, I can’t help but compare their contents to what’s online. Words are indeed very powerful and I enjoy using the thesaurus when I know the word I have is not quite right for what I’m trying to convey. The ‘aha’ moment of seeing the better alternative is energizing! Exactly how I feel! I think you’ve summed up my entire post in just a few sentences. Thanks Vicky. I’m glad there are lots of options and that you’ve discovered the ones that work best for you. My son just wrote and revised a paper for school. He used a thesaurus for the first time, and I think I should send his teacher a note. She may not recognize his voice; He’s never sounded so colorful! Great post Kelly. I love words, too, and I’ve used both print and on-line versions of dictionaries and thesauri. I definitely see you writing a book in the near future! You are a talented writer, friend! At least a girl can dream….Thanks for the encouragement Pam! I totally understand how you feel. A friend of mine will stop reading a book if she reaches page 50 and hasn’t found the story interesting by then. With more books to read than any of us has time for, I suppose having a strategy like hers is helpful.